Send pink roses today to show your affection. Pink roses are a symbol of elegance and grace. From a dozen to 100 pink roses, our pink rose arrangements come in different sizes and are available for same day delivery. At Ode à la Rose, we can help you pick out the perfect bouquet of pink roses to send to the person in your life who you want to appreciate. Our bouquets of roses are available in a range of different colors, perfect for expressing a range of different emotions. Once you pick out the right flower arrangement, we can deliver it directly to your loved one. Let us know if you have any questions before you place your order. What is the meaning of a pink rose? Pink roses are meant to express love, gratitude, grace, admiration and appreciation. However, they are not as exclusively tied to a feeling of romance or romantic love as red or purple roses. This more open-for-interpretation meaning makes pink roses ideal for virtually any special person in your life—from your spouse to your mother. What do the different shades of a pink rose mean? As with other types of roses, pink roses tend to occur in several different shades of pink, with each shade carrying a slightly different meaning. 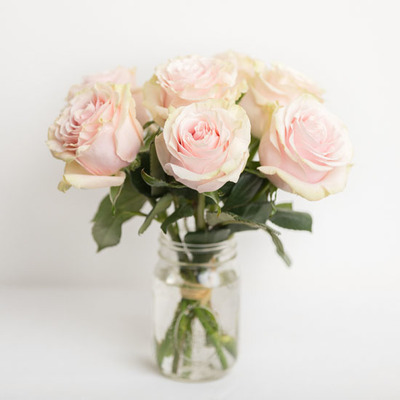 Pale pink roses stand for gentleness and grace but are also sometimes used to express sympathy. Bright pink roses are used to express appreciation and admiration. The more medium shade of pink rose, meanwhile, is often referred to as “Bridal Pink” and is usually used to celebrate the happiness and joy of a wedding day. When is it appropriate to send pink roses? As you can see from the answer above, pink roses are versatile flowers that can mean different things depending on the shade. In general, though, pink roses are appropriate as anniversary flowers, Mother’s Day flowers, and wedding flowers alike. We take flower delivery seriously. Our team is capable of delivering flowers to any address in Manhattan or Brooklyn on the same day the order is placed. We also deliver flowers to upwards of 1,400 cities in the Northeastern region of the United States. We deliver to residences, hotels, schools, nursing homes, offices and beyond. Place your order with Ode à la Rose and you can rest easy knowing that an absolutely gorgeous bouquet of flowers will be delivered to your special someone in a prompt manner. 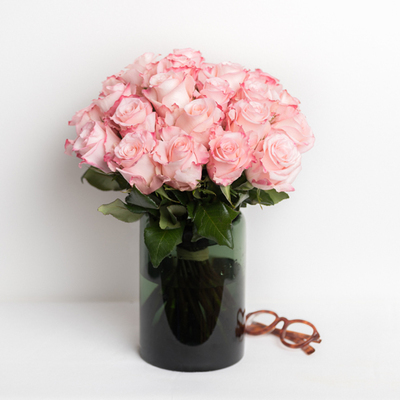 Ode à la Rose provides same day flower bouquet delivery for all Manhattan and Brooklyn neighborhoods. This service is available from Monday to Saturday. 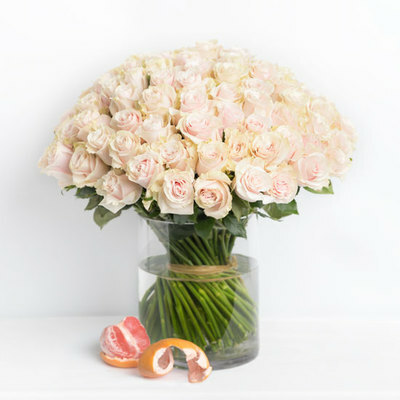 Our flower delivery experts can deliver your requested bouquet on the same day as long as you place your order by 3 PM. Ode à la Rose also delivers on Sunday if the order is placed by Noon on Saturday. Ode à la Rose flower bouquet deliveries are not strictly limited to the neighborhoods of Manhattan. We also deliver fresh flowers to cities across the Northeast. We can deliver a perfect bouquet of flowers to your significant other, friend, colleague, parent or other party within a day's time. Our next day delivery service stretches from Monday to Friday. Get your order in by 3 PM the day prior to your selected delivery date and we'll make sure the flowers show up on time. If you would like your flowers to be delivered on a Monday, we ask that you place your order by Noon on Saturday. Our team delivers to cities throughout the Northeast. Ode à la Rose's next day delivery stretches from New York all the way to Washington DC, Maryland, New Jersey, Pennsylvania, New Hampshire, Massachusetts, Connecticut, Rhode Island, Delaware and Virginia.